It pays to Book Direct! Check out our Special Offers page to find out how YOU can save 10% discount on the room rate. We invite you to experience authentic Caribbean charm in a quaint, tropical setting overlooking Lindbergh Bay, one of the most beautiful white-sand beaches on the Island of St. Thomas. Conveniently located 5 minutes walking distance from Cyril E King Airport, gracious hospitality and a complimentary rum punch await your arrival. Nestled into a lush, secluded garden setting, our surprisingly affordable 59 guest rooms offer a variety of room styles and pricing options … the historic main building, the quaint cottage rooms, the sea wing with its impressive views, and the luxurious villa-style rooms. All are beautifully decorated and appointed with thoughtful comforts like plush pillow top beds, flat-screen satellite television, private balcony and complimentary Wi-Fi Internet. 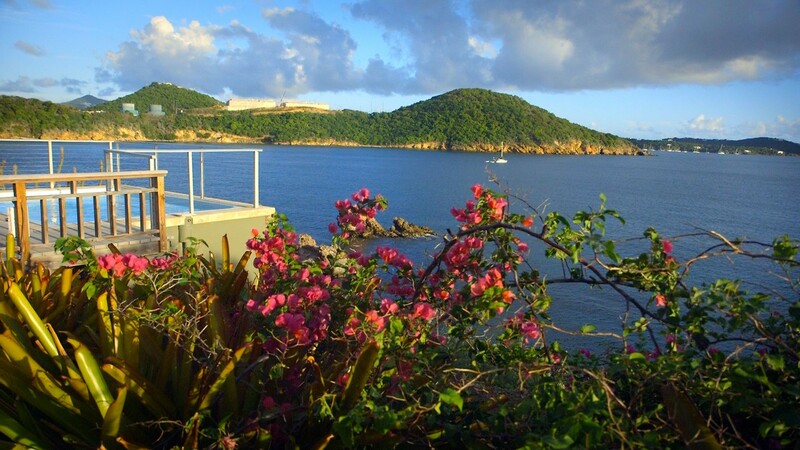 As one of the top St. Thomas hotels, we offer everything you need for an unforgettable family vacation, romantic escape or business trip. Additional amenities include sumptuous dining at Oceanside Bistro with captivating Caribbean views, an outdoor pool perched at the edge of the Caribbean Sea, concierge services, a lobby internet-equipped computer station with print and fax capabilities and a complimentary shuttle to Emerald Beach Resort on gorgeous Lindbergh Bay. At Lindbergh Bay Villas we offer nightly rates for individual rooms as well as 3, 5 and 7 night packages for all 8 rooms (Maximum of 16 guests) that includes all taxes and fees to reserve the site exclusively for your group! The main pool will reopen on Jan. 01 2019. Our second pool located at the villas on the upper level is open.